Nate Fludd, Beastologist, is back in the camel saddle in hot pursuit of a missing, deadly Basilisk--the King of Serpents. As if saving an entire Dhughani village from the Basilisk's poisonous gaze isn't difficult enough, Nate and Aunt Phil must begin to piece together the mystery of his parents' disappearance and protect the lone copy of the Fludd Book of Beasts from a sinister man who always seem to be one step ahead of them. 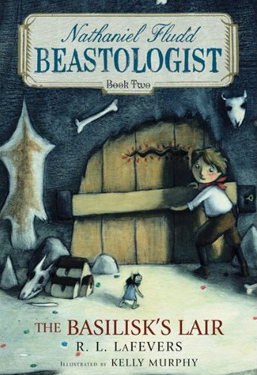 Pack your goggles, rue, and an extra pair of gloves and join Nate on another unbelievable adventure--there's no rest for the world's youngest beastologist-in-training!